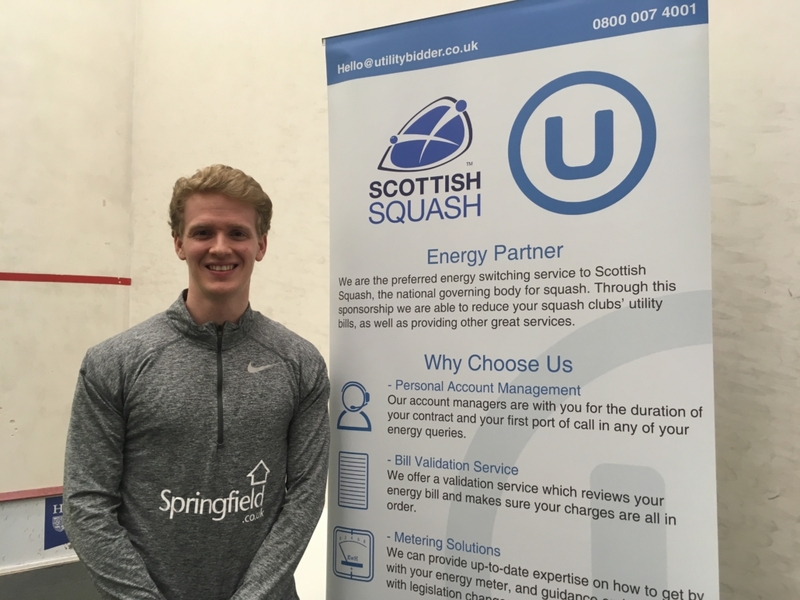 Utility Bidder has extended their support of Scottish Squash by coming on board as an official event partner of the 2019 Springfield Scottish Squash Open. 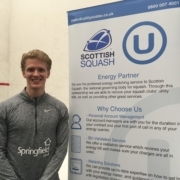 Since November, the UK’s leading business utilities company has worked closely with Scottish Squash clubs and their members by providing simple energy solutions. Utility Bidder has worked in the sports industry since 2009, giving them great insight into the way energy is used within this industry and knowledge of the hurdles the owners come across. They have actively grown their partnership channel recently by becoming a preferred supplier for English and Scottish bowls associations, being the main supporter for their local football club Corby Town FC and working with Cricket Scotland. Now Utility Bidder is broadening their support for squash at the 2019 Springfield Scottish Squash Open which began today at Oriam; Scotland’s Sports Performance Centre, in Edinburgh. The tournament, which was last played in 2001, has attracted players from 18 different countries who will be vying for the titles in Edinburgh this week from Wednesday, April 3-Sunday, April 7. Fergus Richards, above, is competing at the 2019 Springfield Scottish Squash Open. The Springfield Scottish Squash Open will be a PSA Challenger 10 event with a $20,000 prize fund, which will be equally split between male and female players. Madeleine Porter from Utility Bidder said: “Utility Bidder has been working with Scottish Squash through squash clubs, using our experience and knowledge to potentially reduce costs through many different areas including energy as well as water and telecoms. Maggie Still, CEO Scottish Squash, added: “Utility Bidder has generously supported our efforts to develop squash in Scotland. To request further information about Utility Bidder and the services they offer, please visit www.utilitybidder.co.uk or call 01858 410000. Children and students will be able to attend the 2019 Springfield Scottish Squash Open free of charge during rounds 1 and 2 which take place today (Wednesday) and Thursday (April 4) at Oriam; Scotland’s Sports Performance Centre, in Edinburgh. Any child or student wishing to attend on Wednesday or Thursday is encouraged to turn up at any point. Play gets underway at midday on both days.